In their turn, Ukrainian manufacturers are concerned about the measure as they believe they will bear all the costs of such a development. The intergovernmental commission on foreign trade is believed to be planning an investigation into importers, which may result in an introduction of a special duty on imports of sulfuric acid, an article published by the Obozrevatel reads, 112.ua reports. A number of chemical manufacturing companies of Ukraine are the initiators of such actions. However, should this plan be implemented, the competition caused by imports will be ruined, which will be forced to purchase sulfuric acid from monopolist producers at home at prices that are likely to rise. This is due to the fact that Ukraine has a mere 8 enterprises engaged in production of sulfuric acid, only four of which sell it not only for domestic needs, byt also for large corporate consumers. Nonetheless, the negative consequences from such development will be born exclusively by Ukrainian manufacturers, who already are concerned by the dangerous initiative. Manufacturers are worried that the shortage of sulfuric acid for production needs stands at not less than 30%. As of the first half of 2017, imports satisfied 55% of the total demand for sulfuric acid. Obviously, if that is the case, many producers may find themselves unable to operate in the absence of imports. When it comes to argument that production needs would be covered by sulfuric acid produced within the nation, that is unsubstantiated because of a number of factors that cause imports of sulfuric acid. First of all, Ukraine lost parts of Donbas, an area rich in sulphur-rich coal and PAT Krymskyy Tytan. 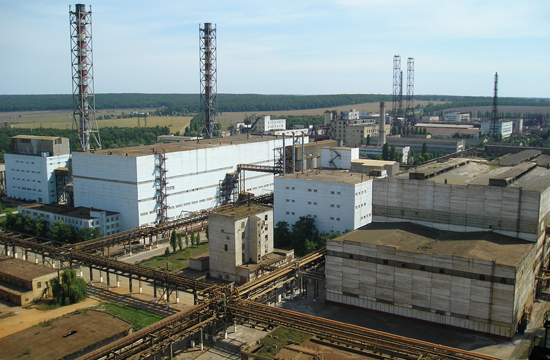 At the same time, the Kostyantynivka chemical plant declared bankruptcy in 2017. All of these enterprises accumulatively produced close to 50% of the total production. Secondly, even if the aforementioned corporations remained controlled by Ukraine or their former leaders did not flee to the uncontrolled areas of Donbas, it would still be impossible to get rid of imports. The Ukrainian raw material for the production of vitriol frequently does not meet the required quality standards as it contains different alloys that produce more harmful emissions and pose a serious environmental threat. Thirdly, along with insufficient production capacities, defective tanks and reservoirs used to transport the materials in the chemical industry is another urgent problem. Therefore, the initiated investigation into imports of vitriol with an aim of setting import duties will increase the profits of corporate producers, not state-owned enterprises. As reported earlier, in August of 2017, Skhid sulfuric acid plant and Sumykhimprom, the dominant actors on the Ukrainian market, have complained to the Ministry of Economic Development and Trade of the acid, which, in their view, is harful to Ukrainian chemists. In their turn, ministry officials have started a special investigation without any prior research.